Together with early theoretical work in population genetics, the debate on sources of genetic makeup initiated by proponents of the neutral theory made a solid contribution to the spectacular growth in statistical methodologies for molecular evolution. 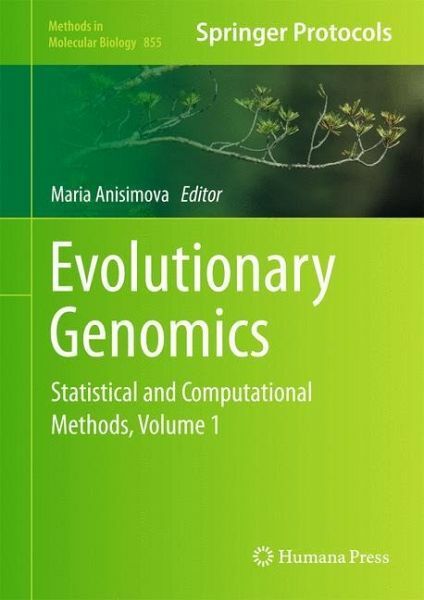 Evolutionary Genomics: Statistical and Computational Methods is intended to bring together the more recent developments in the statistical methodology and the challenges that followed as a result of rapidly improving sequencing technologies. Presented by top scientists from a variety of disciplines, the collection includes a wide spectrum of articles encompassing theoretical works and hands-on tutorials, as well as many reviews with key biological insight. Volume 1 includes a helpful introductory section of bioinformatician primers followed by detailed chapters detailing genomic data assembly, alignment, and homology inference as well as insights into genome evolution from statistical analyses. Written in the highly successful Methods in Molecular Biology(TM) series format, this work provides the kind of advice on methodology and implementation that is crucial for getting ahead in genomic data analyses. 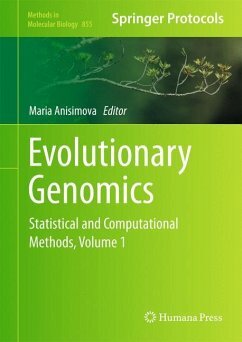 Comprehensive and cutting-edge, Evolutionary Genomics: Statistical and Computational Methods is a treasure chest of state-of the-art methods to study genomic and omics data, certain to inspire both young and experienced readers to join the interdisciplinary field of evolutionary genomics.